One of the big things I want to focus on in our new home is technology. I want our gadgets to be as up-to-date as our home. With that it means we're going to need some amazing upgrades. I've started making a list, a list Fred hasn't seen...yet. We've all been getting by with some of the most basic tech that has us wanting to shed a tear or two on a regular basis. One of my hopes is to have a family "station" where I have one laptop that the family uses as a unit. Everyone (except the youngest) has their own laptop that they use for whatever they desire. My little uses my old laptop for simple gaming, but even that has left him frustrated. That's where the Toshiba Satellite Radius 12 laptop at Best Buy comes into the picture. Best Buy is the destination for exciting new mobile PC devices, including the new Satellite Radius 12 by Toshiba. 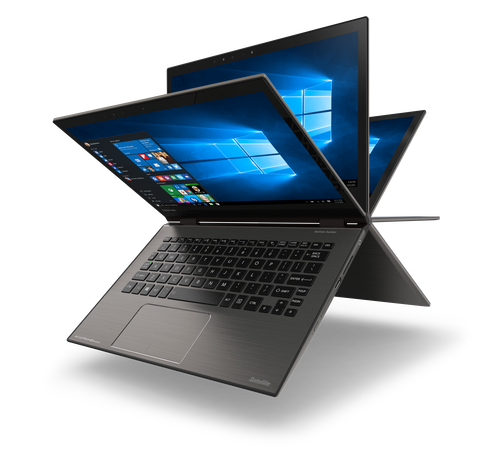 With the launch of Windows 10, now is the time to gear up and get a laptop built with the expert technologies, flexible 2-in-1 design and fast mobile performance! We're not finished with our kitchen, and I want that to be the hub and heart of our home. 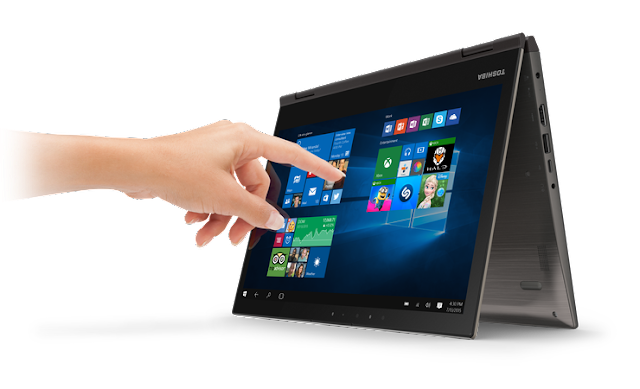 Having one place for the family to hang out, and to have the Satellite Radius 12 by Toshiba for everyone to use would be ideal! Designed for Windows 10, the Satellite Radius™ 12 is one of the first small-screen PC’s to enable facial authentication with Windows Hello, enabling a more personal and convenient way to log in to the laptop. It’s also among the first Windows laptops to run on the power and performance of Intel’s new 6th generation Core processors, delivering maximum mobile performance for mobile content creators and multi-taskers. The Satellite Radius 12 is designed for travel. Wouldn't that have been perfect to have taken to Peru (the country, not my dog)? It would've been so much easier to tote around than the big laptop I took and never once took out! A 360-degree precision hinge enables greater flexibility as the screen rotates into five unique viewing modes – giving the right view for every occasion. I've never had a "family station" or even a new house like this for that matter! It's such an exciting time for our family. I can't wait to see what our tech future holds! What is your favorite tech in your home? The fridge is my current crush- Can't go wrong with a Samsung appliance! This does look like a great computer though, I'll have to stop by Best Buy and check it out in person. My poor laptop is on its last legs, so I am definitely in the market for a new one. This sounds like a real winner. My favorite tech is my WiFi access point. WiFi is the unsung hero of tech. Without it, all my fancy gadgets would be useless. Sounds like this is a great computer. I love how it is so flexible and easy to use. I don't need a new computer at the moment, but when I do I will have to check this one out. My favourite tech is my cell phone. I do so much with it I don't know what I'd do without it. This is really cool! I'm pretty grateful for my wifi and my washer and dryer! I need a new computer and this Toshiba looks great. I will look into this one. Sounds like a great computer. I like how these can bend so easily. I really love my iPads. I don't use them all that much, but I totally love them! I love shopping at Best Buy. That new Toshiba machine looks absolutely amazing. I love my phone! I find that I use it for pretty much everything. I'm in the market though for a new laptop/tablet and this looks amazing. I have been looking at this laptop and LOVE the features! My favorite tech item right now is our Arlo Security System! I think its pretty funny that one of your criterial for your laptop is Peru your dog! But hey, if gorilla glass helps with that then it's a great choice. We just updated our laptops! It makes a huge difference!